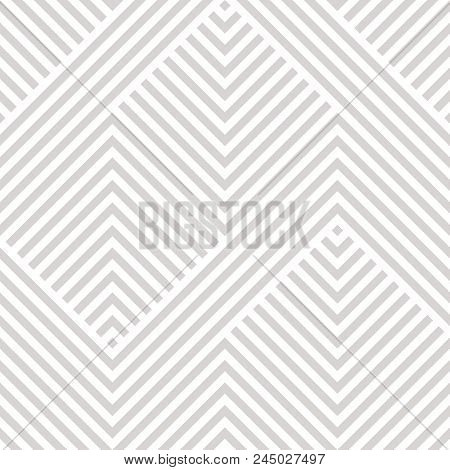 Vector geometric seamless pattern. Modern texture with lines, stripes. Simple abstract geometry graphic design. Subtle minimalist white and gray background. Design for wallpapers, prints, carpet. Herringbone pattern. Lines pattern. Stripes pattern.